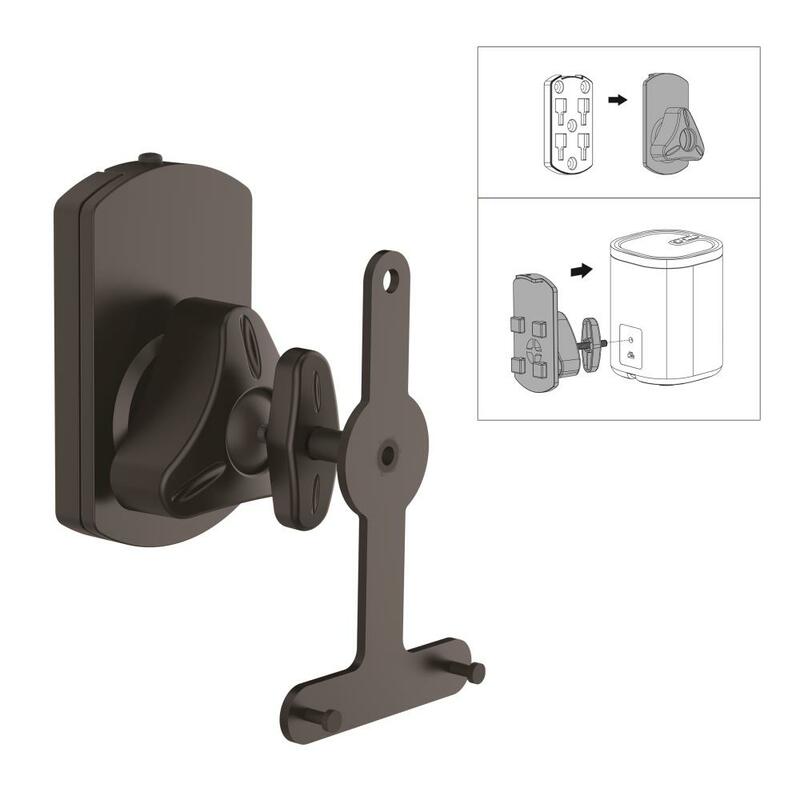 The Sonos Universal Wall Mount Speaker Stands works with Sonos PLAY1 and PLAY3 speakers. The set of two stands allow you to conveniently position your Sonos speakers for immersive sound and style. They're mountable to virtually any wall or flat surface, for rugged & reliable speaker placement. Mount them at home, in the office or in the studio; perfect for all audio applications. Enjoy convenient tilt, swivel and rotation adjustments.